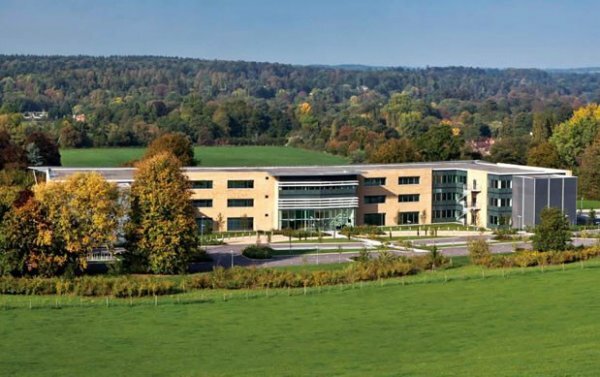 LEO Pharma was moving its UK headquarters from Princes Risborough to Hurley, initially in response to a global business decision. However, the move would also take them from old fashioned, highly cellular offices to a much lighter, modern office with the scope for more collaborative, shared space. The move coincided with a major global re-brand and many other business changes. The old office had been their home for four decades and different ways of working were unknown to many of their people. Aberley was engaged to deliver the end to end process from route map through change management to relocation project management plus the clean and clear of the old site. Route Map to Relocation: Aberley’s change team worked alongside the in-house project team and the move champions to articulate exactly what the business needed. The focus was on business need, not design for design’s sake. We produced much of the Employer’s Requirement document to tender for the design and build contractor. Changing the culture: One important idea was to maximise the staff views so we asked designer and contractor to deliver space that put the few offices in the centre of the space and left desk areas and shared space by the windows. This was a practical reflection of the culture: let the people there all the time have the best of the space. Move management and move champions: We tendered, procured and managed the move management and clean and clear of the old building (including a staff and charity recycling project for unwanted furniture). Aberley delivered a smooth transition without any downtime over a single weekend. IT project: This was a distinct part of the relocation: consulting on the detail and delivery of the IT changes. Transfers of existing IT and telecoms equipment was planned and delivered, with special emphasis on the need to maintain a 24/7 helpline for adverse reaction or other reporting under MHRA regulations. But the relocation was also used to upgrade significantly much of the AV equipment used and to introduce a new room booking system. All these systems had to be integrated with LEO’s corporate systems run from Denmark. A dedicated Aberley consultant ran this project.